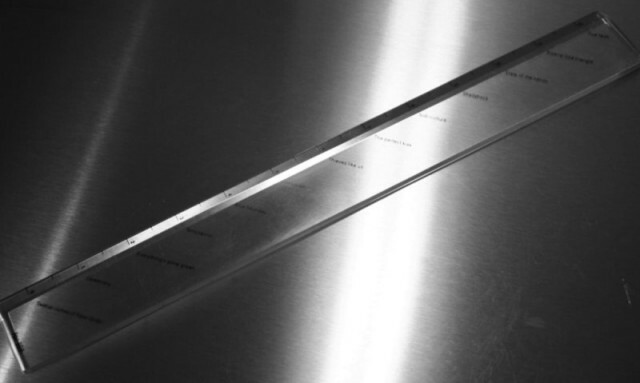 Factory promotional gift ruler listing the 12 New Order 12-inch singles from FACT 200. (Ruler is actually 13 inches long; an extra 1/2 inch on either end.) Rumoured to be an edition of 60 "samples" (for an intended run of 1000 to be integrated with the gatefold edition of 'Substance').